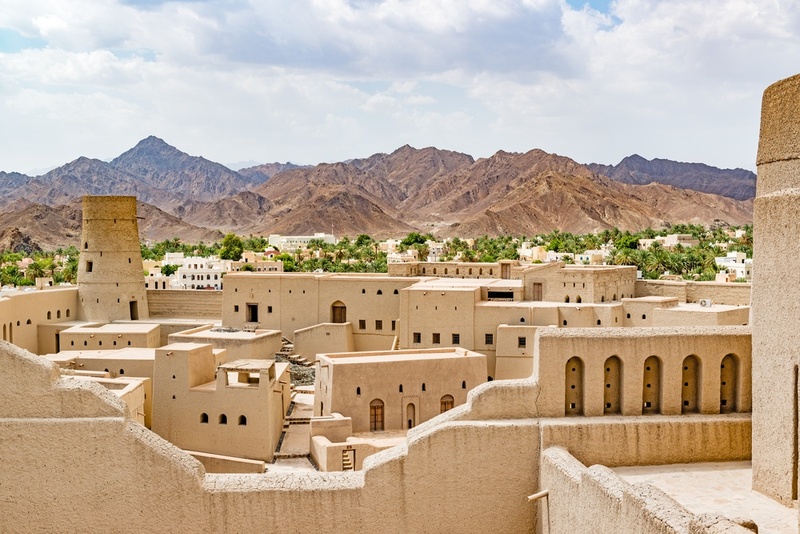 With sleepy fishing villages, gorgeous mountainscapes and gorges, silky wind-blown desert dunes, beautifully preserved fortresses, pristine and untouched beaches on the Arabian Peninsula, colorful markets, and modern metropolis’ - you could say Oman truly has it all. 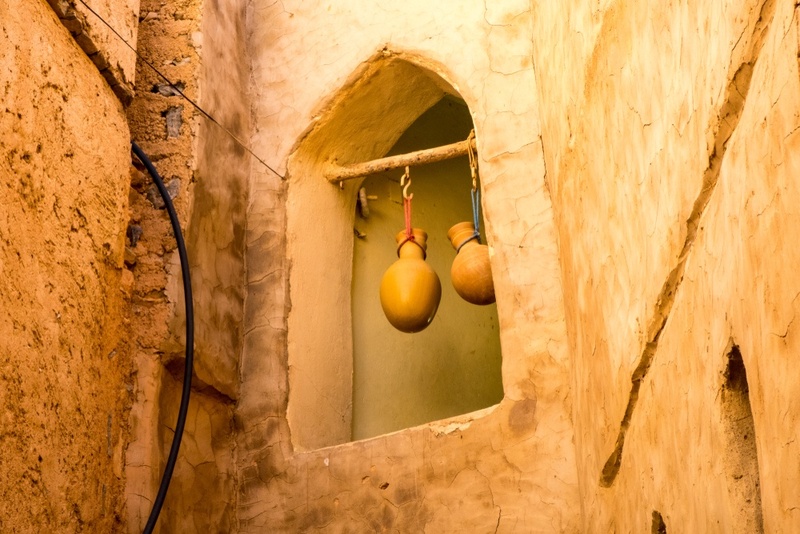 Despite development efforts, this historic seafaring nation has managed to retain its authentic Bedouin culture and charm,vibrant hospitality, as well as its rich natural heritage. 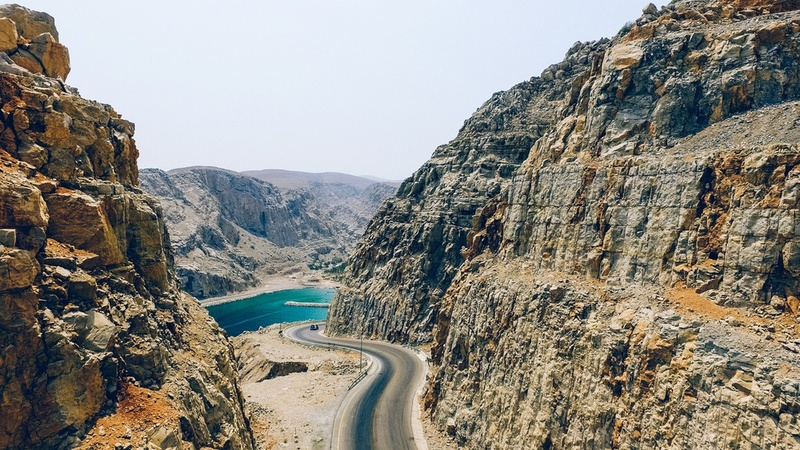 Until recently, Oman was completely off-the-grid and unknown to tourists, yet it is quickly becoming more and more popular among adventurous travelers. For anyone seeking to know the authentic Arabia, without hoards of tourists and without the travel advisories, Oman is THE PLACE TO GO! Visit this amazing nation - one which has managed to blend modernity with its traditions and soul beautifully. People often tend to have many misconceptions when it comes to traveling to the Middle East. On the one hand, the large and diverse area has a bad reputation for being a war zone, and, while that may be true in many countries, there are other countries, like Oman, that are just as safe or even safer than many European countries. On the other hand, another typical misconception is that the only “safe” countries in the Middle East are the extremely wealthy, over-the-top, modern, and expensive countries like the United Arab Emirates who have lost a great deal of their traditions and heritage; however, this is not always the case. Oman is the perfect introduction to the Arab world - it is a safe, wealthy, clean and organized country that has managed to maintain its stunning natural sites and its authentic culture, and it cheerfully welcomes westerners. In fact, the government has recently invested large sums of money to promote foreign tourism to the country. Oman is a beautifully diverse country with a rich and colorful culture. On a visit to Oman, you will come across beautiful markets, taste unique flavors, see ancient fortresses and abandoned villages, walk along cute coastal villages, and, above all, marvel and enjoy the beautiful and untouched natural scenery, whether it be a riding a camel through vast desertscapes, hiking incredible peaks, swimming in hidden rivers and ravines, lounging on pristine beaches, or admiring the impressive coastal wildlife. Omani culture is one of the richest in the region, where ancient customs and traditions live on till this day. 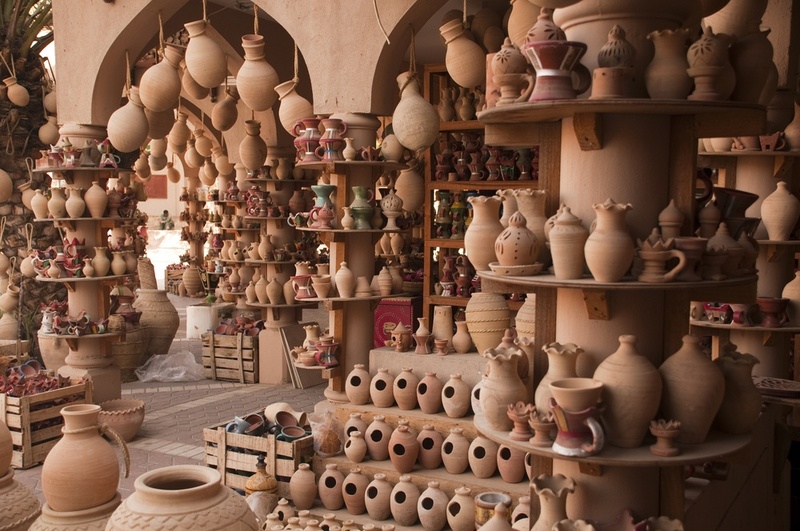 Locals take great pride in their costumes, jewelry and accessories, all of which can be seen and purchased in the marvelous souks, their local marketplaces or bazaars. Meander along these bazaars and see all types of beautiful and authentic personal and home accessories for sale. 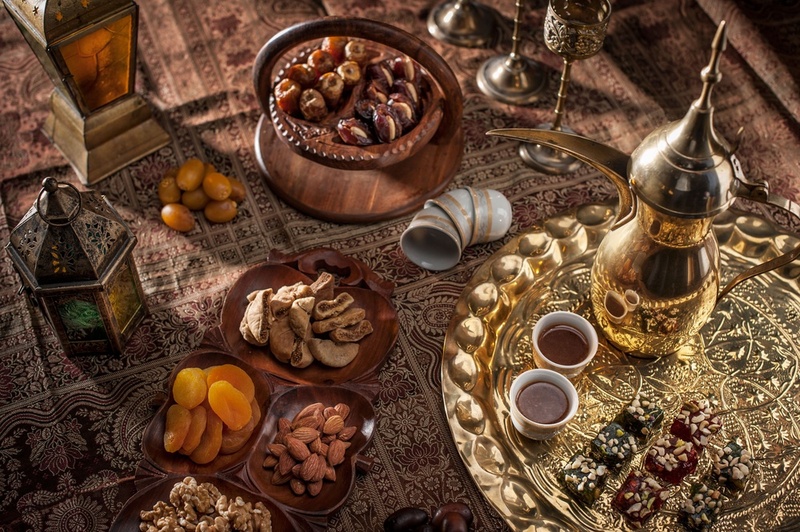 It is a very generous culture, and many Omanis will gladly welcome you into their home and offer you dates, coffee with cardamom, along with different sweets and fruits. Furthermore, stroll through the cities and towns and enjoy the constant scent of frankincense, an aromatic gum resin that was once considered a luxurious gift. It is even said that sultans of Oman would send this incense to ancient queens of Egypt as gifts. Oman is filled with breathtaking architecture and fascinating archaeological sites. Because of its location, the country has been influenced by hundreds of civilizations throughout history, both through conquer and trade, and these influences are visible in the various forts and villages around the country. Visit sites like Salalah, the south’s capital, and enjoy the city’s lush green contrast with stunning archeological sites, admire Muscat’s impressive mosque, wander through Bahla Fort, which boasts its marvelous adobe walls and sandstone towers, and climb to the top of the main tower of the impressive 17th century Nizwa Fort, the country’s most visited monument. Furthermore, drive along the Al Hajar Mountains and explore a number of stunning, yet abandoned, villages like Birkat al Mawz. 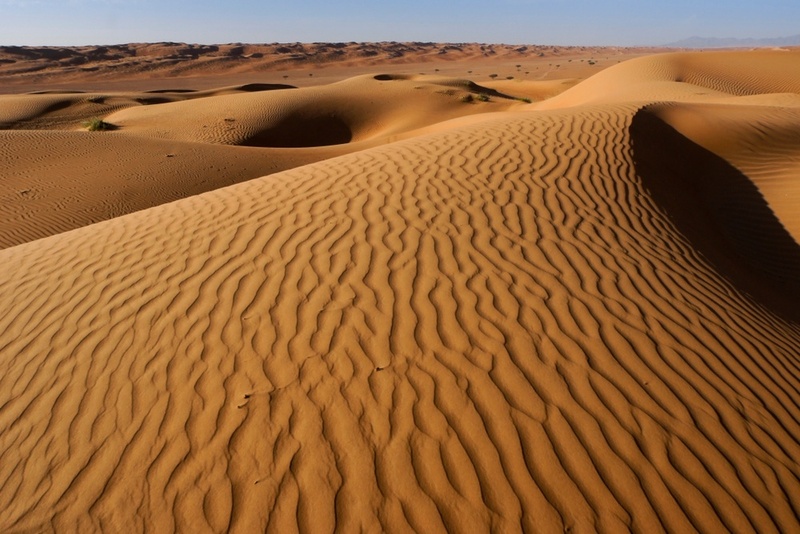 Head over to Wahiba Sands, Oman’s spectacular silk-smooth and vast desert sand dunes, and have the adventure of a lifetime! Take your 4x4 off-road into the exciting desert and surf down 200 meter-high dunes, take a sunrise or sunset walk and marvel at the spectacular red and gold colors of the dunes. 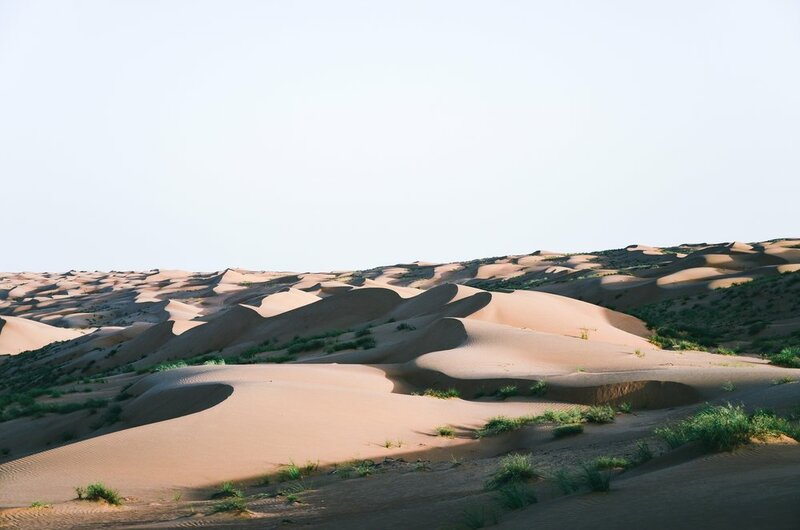 Or, if you’re feeling particularly adventurous, you may even like to trek through the desert on camel-back and camp under the starry night sky. If you do not wish to sleep on the dunes, you can opt to glamp in luxurious campsites or stay in one of the cute surrounding villages. Oman is a mountainous country with beautiful hikes and truly magnificent views. Visit Jebel Shams mountain range, which boasts the country’s highest peak and canyon. This rocky and arid destination is often called the Grand Canyon of Arabia, and offers otherworldly views, incredible mountain hikes, and even world-class rock climbing routes! Explore the many wadis - valleys or ravines - of the mountainous regions, many of which have incredible, turquoise water, perfect for swimming in. 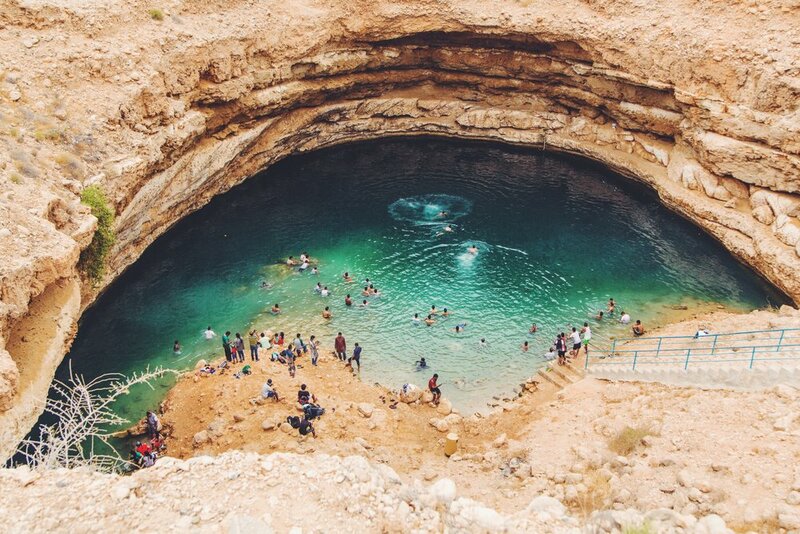 Wadi Bani Khalid is one of the most famous wadism with stunning cascading freshwater and emerald pools to refresh in after a hike. Other impressive wadis are the Wadis of al Rustaq, Wadi al Hoqain, and Wadi Shab, among many others, and each one is more beautiful and unique than the next. Furthermore, visiting and swimming in the impressive Bimmeh sinkhole is a must! There are so many natural sites to see in this beautiful and mountainous country that you could spend weeks driving around and still be surprised with completely new and spectacular natural sites. 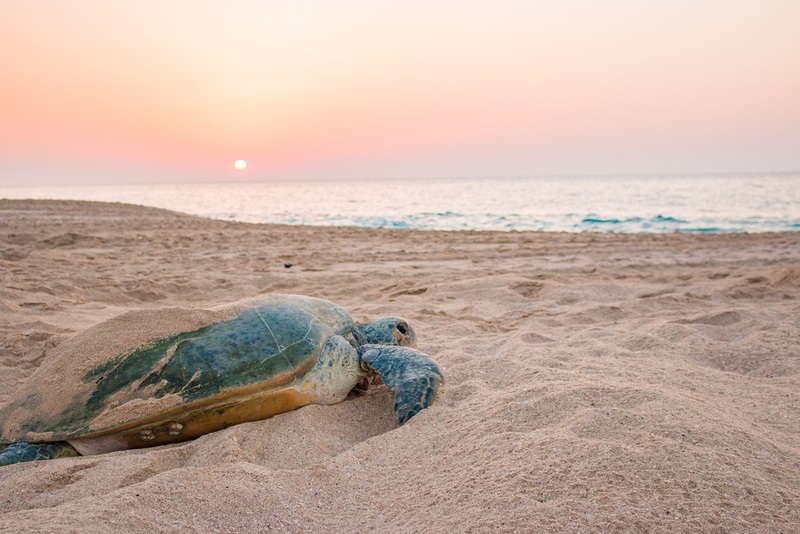 Oman boasts an incredible diversity of fauna, particularly in terms of its marine life, and has one of the best places in the world to witness turtle hatching season, which takes place between July and October. Nature lovers can see five of the seven species hatch and make their way clumsily to the ocean. The best place to witness this spectacle is near the port town of Sur, where there are also a number of nice surrounding beaches. 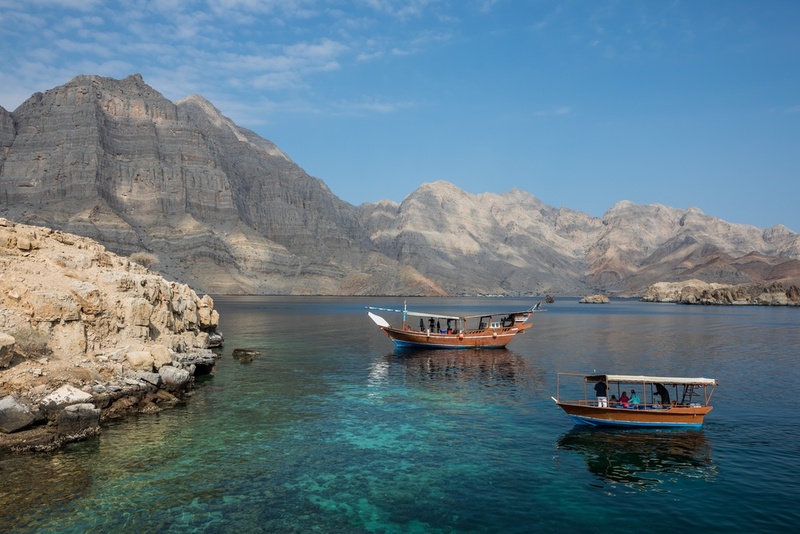 Also, you can also take a boat ride along the impressive Musandam Fjords and explore pristine and empty beaches, watch dolphins and whales from the boat, and, if you are up for it, scuba dive in some of the world’s most magnificent coral reefs! Oman’s summers (April - September) can reach unbearably hot temperatures, such as 40°C, and therefore, it is recommended to travel to in the winter months, when you’ll find you’ll be able to enjoy moderately warm Mediterranean-like temperatures, with highs of 30°C. The best time to visit Oman is from October to April, with the best weather occurring from November through February. Oman’s southern coast has a somewhat different climate, due to its rainy season which runs from June to September. This, too, is an excellent time to visit southern Oman (but avoid the rest of the country), because of the cooler rain temperatures and the marvelous lush greenery. Within and between larger cities in Oman, it is very simple to move around by public transportation and buses. However, to reach the remote areas of the country and to truly explore the beautiful wilderness, the best way to get around is with a car. There are two ways to do this: rent your own car and drive yourself, or hire a guide with a car who can provide local insights and who may have more experience with off-road driving. Either way, it is highly recommended that you rent a 4x4 wheel drive car in order to be able to go off-road exploring, particularly in the desert. Aside from the off-roading adventures, driving yourself in Oman is quite easy, given that the majority of signs are in English and in Arabic. Although Oman is one of the safest countries in the Middle East with an extremely low crime rate, it is recommended to avoid the border areas with Yemen and Saudi Arabia. Oman is a Muslim country and, therefore, visitors should be respectful of their conservative dress code, particularly women. Although the dress code is more relaxed for foreigners, you should still dress modestly. Women should avoid showing too much skin, particularly the tops of the arms, shoulders, and legs. On tourist beaches and swimming pools, you may wear a bathing suit. 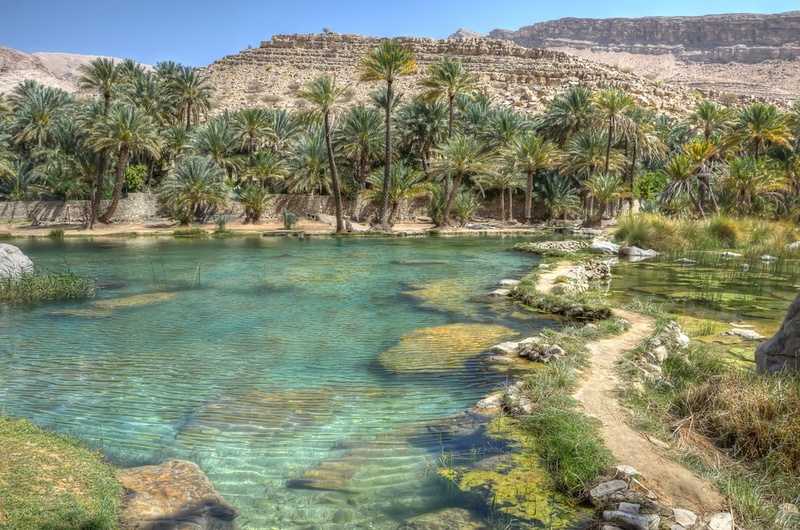 In swimming wadis, for example, it is recommended you cover your swimsuit with a t-shirt and shorts. Alcohol is hard to come by in Oman, except for in some licensed hotels and restaurants. It is an offense to drink or be drunk in public. The drinking age is 21. Homosexuality is illegal in Oman.